Berbere is a cornerstone spice blend in Ethiopian cooking. I affectionately call it ‘the kitchen sink of spice blends,’ because it, well… contains just about every spice in your cupboard. 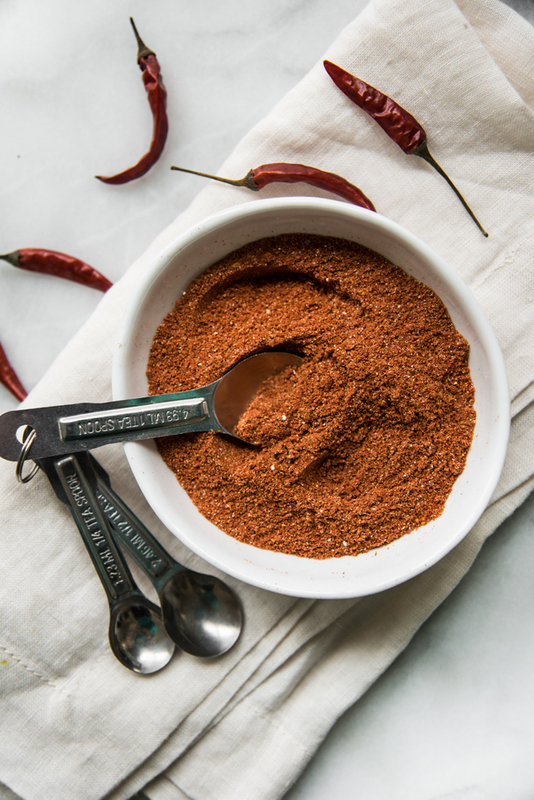 The complex spice blend gives food a rich taste, layered with flavors and it’s wonderful in stews and it makes an incredible dry rub for meats. While there are many variations, there’s really no single spice substitute for the combination of flavors that is so unique to this cuisine. 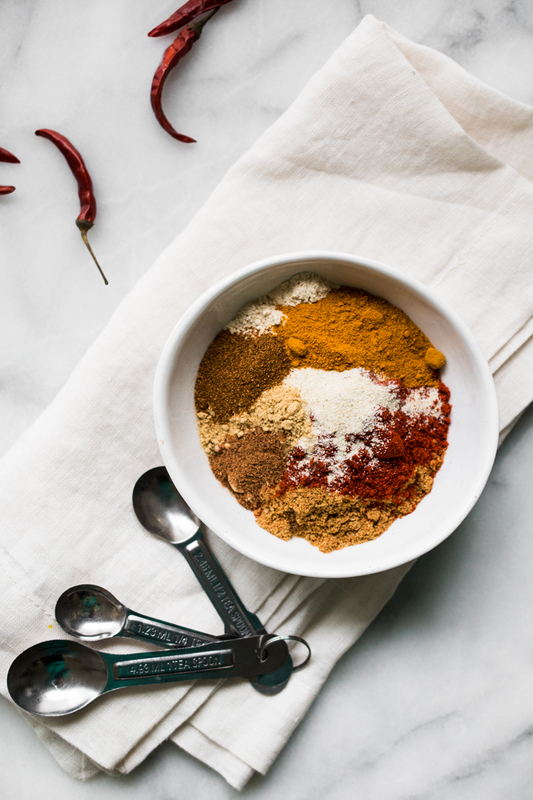 Ethiopian Spice Mix (Berbere) - a complex mix that gives food a rich taste layered with flavor. In a small, heavy-bottomed skillet over medium heat, add the cumin, fenugreek, cardamon, coriander, cloves, peppercorns, and chilies. Swirling constantly, cook until fragrant, about 3 - 4 minutes. Allow to cool slightly and then add to a spice or coffee grinder. Grind until fine. In a small bowl add the spice mixture and the rest of the ingredients. Stir well to combine. *While there are a lot of spices in this blend, the only one that you may have trouble finding is, fenugreek. This particular spice has quite a unique flavor, the best way I can describe it is a subtle mixture of celery leaf and maple syrup. Personally, I have not been able to find a decent substitute for the fenugreek, so I would suggest omitting it if you can't find the spice. Ordering spices online is a possibility too! Here is a link to order fenugreek. ** You'll want to use cardamon seeds, not the green pods. If all you can find are the pods, simply take a pairing knife, slice off the top of the pod and open it up to reveal the black seeds inside. I live in Canada and found fenugreek at my local Bulk Barn. Making this tonight for the first time. Find an Indian grocery store for fenugreek seeds. If I can’t find fenugreek could I substitute dried celery leaf powder? I dry and grind my own as I love the flavor. Ooo… aren’t freshly ground herbs/spices the best?! Fenugreek has a distinct flavor – kind of like a celery/maple syrup. Though freshly ground celery leaf powder will be just fine as a substitute in the berbere spice blend. Wonderful, thanks. I have a lot that’s just at the point to be ground. Perfect timing! Shouldn’t a berbere mixture of spice actually contain some berebere pepper? Hi there and thanks for the question. Isn’t berbere just wonderful?! It has such a great balance of flavors and for me it’s what makes Ethiopian food so special. Berbere is a spice mixture, literally meaning ‘hot’ in Amharic. When I was developing this recipe I did my research and talked to several Ethiopian cooks about what they use in their blend. They mentioned a use of various herbs, spices, and chilies; but never mentioned an actual berbere pepper. I don’t know if that was due to its availability, or lack thereof. In response to your question, I looked up ‘berbere pepper’ and couldn’t find any information on an actual pepper – I was only referred to the spice blend. I did see some pictures of chilies being noted as berbere, but again, I couldn’t find any info on them. If you have some other information for me, I’d be very interested. Woah. There IS every single spice in it. BUT the good news is I have them all! Hell yeah! Lots of warm and robust spices with just the right amount of heat – I know you’ll love! I use it in SO many different dishes. I know that spice stores sell fenugreek on line, if you can’t find it locally. Also, in regular grocery stores, check the McCormick gourmet spices. Ooo… great tips! I never thought to check the McCormick section in my local grocery store (it just seems too exotic for it to be among the ‘normal’ spices) – I’ll have to check that out next time I go shopping. I love Ethiopian food, but have never tried to make it at home. This spice blend looks just amazing – thank you for sharing!